​Two thousand years ago the eternal God broke into the time and space of our world and they called him Jesus. The one whose Name is above all names wants to be our Wonderful Counselor, Mighty God, Everlasting Father, and Prince of Peace. Big Idea: As Wonderful Counselor, Jesus invites us into a wonder-filled life. Big Idea: As Mighty God, Jesus empowers us to live a life of courage. 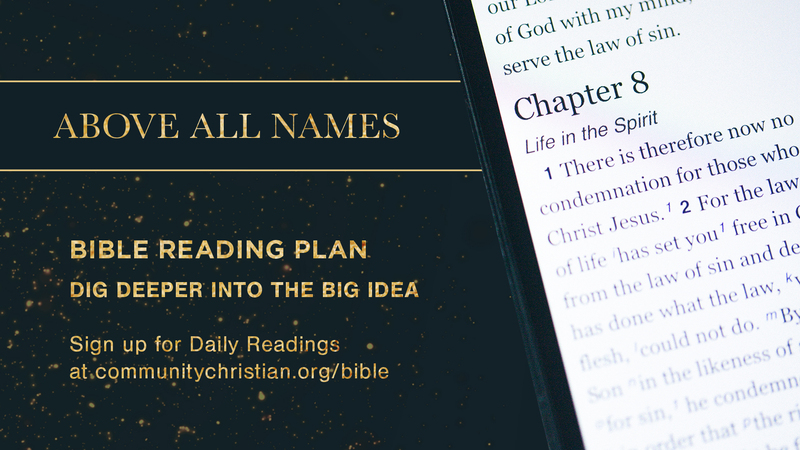 Big Idea: As Prince of Peace, Jesus brings wholeness to our lives. Big Idea: As Everlasting Father, Jesus invites us to live with an eternal purpose.